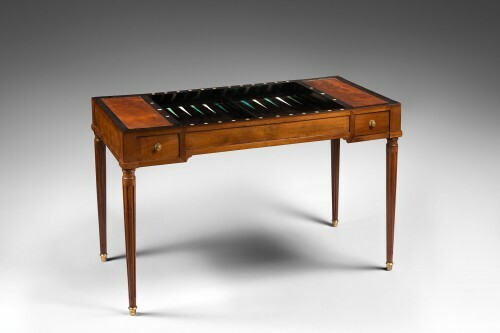 The passion for games was at its height during the eighteenth century. 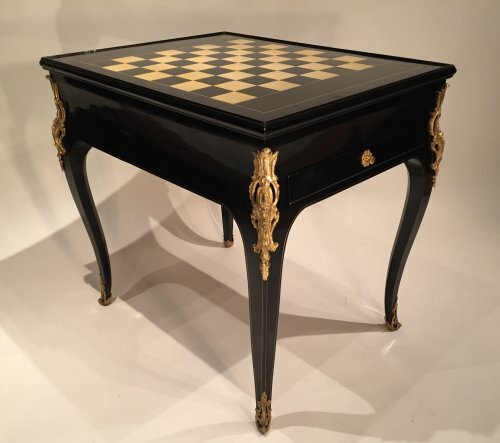 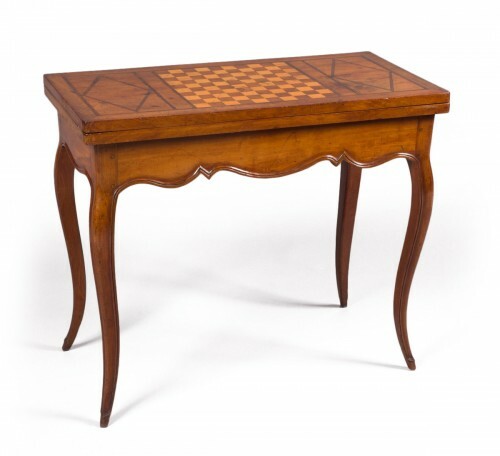 The tabletiers (makers of chess and draughts tables) became increasingly inventive to satisfy this growing interest, particularly with regard to game tables. 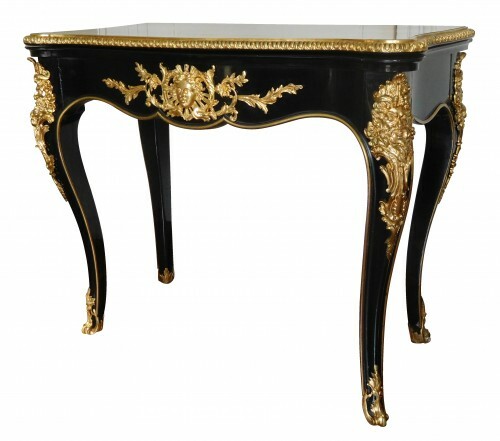 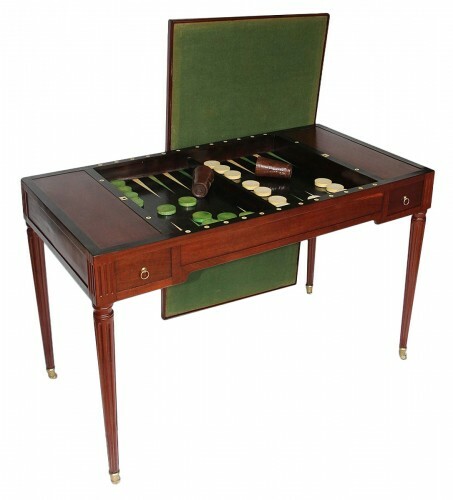 Light and easy to move, they added decorative interest to the games played in bourgeois parlours. 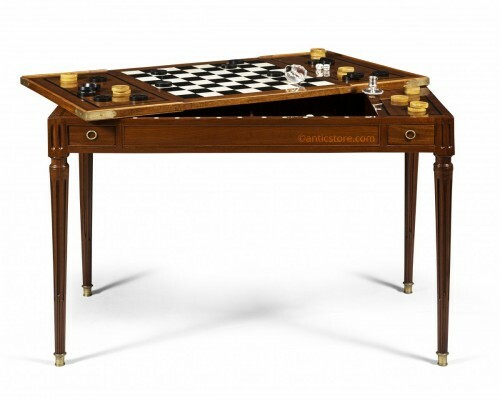 There are as many models as there are games: tables for chess, draughts, snakes and ladders, tric-trac, backgammon, three of a kind, reversi (card game), quadrille, and so on. 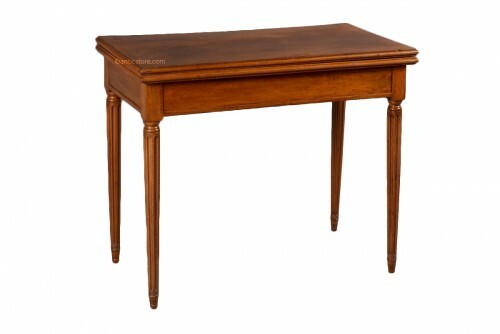 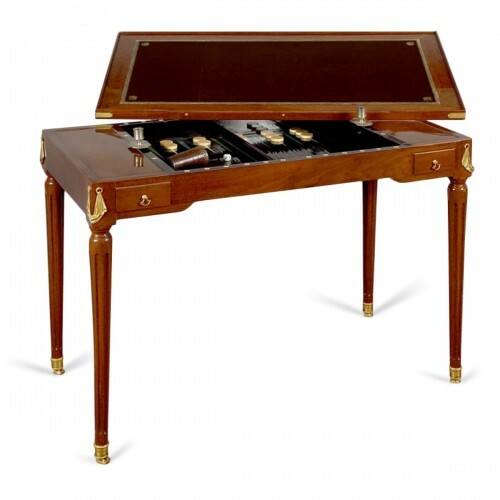 Depending on the game, the table’s top is round, square, triangular, or hexagonal, with a cavity for housing a candlestick and a series of cavities for cards. 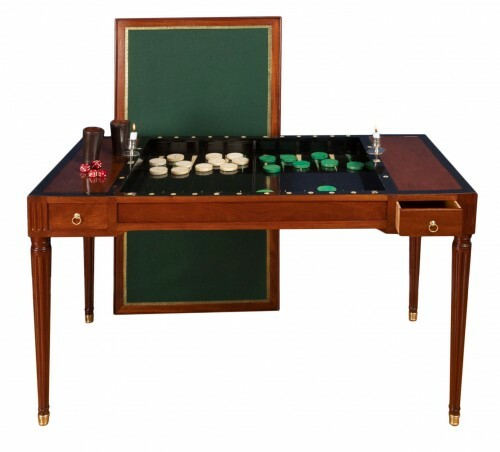 It is covered with a chequerboard or green felt. 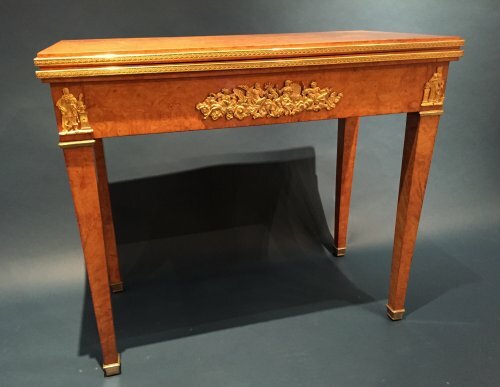 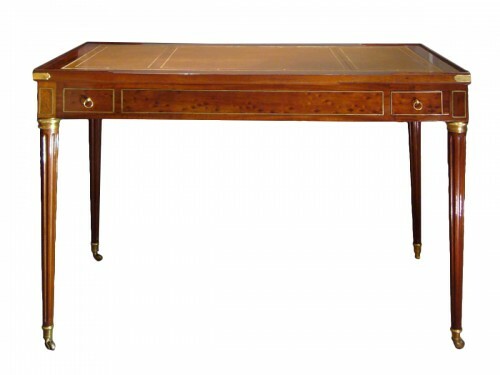 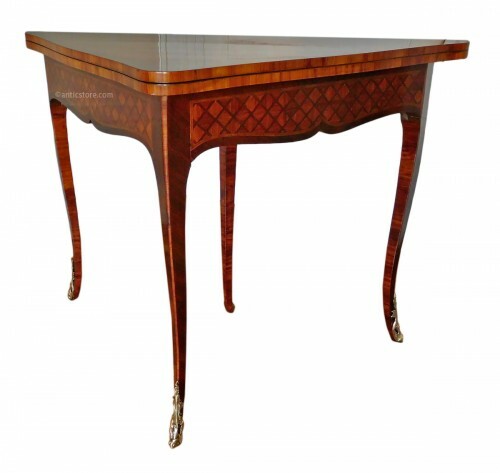 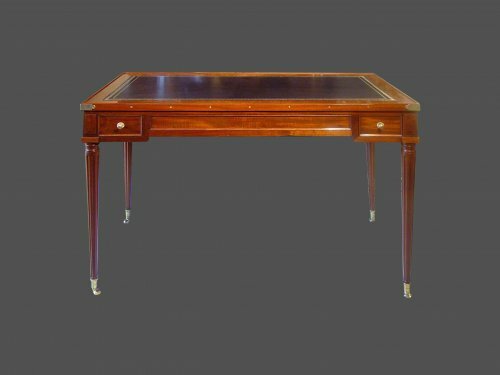 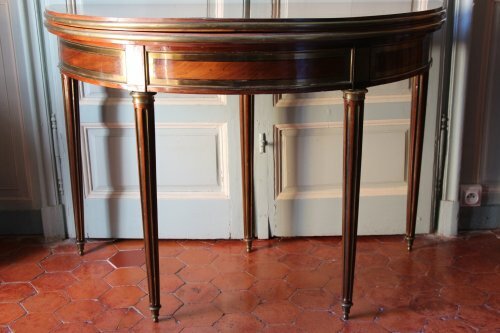 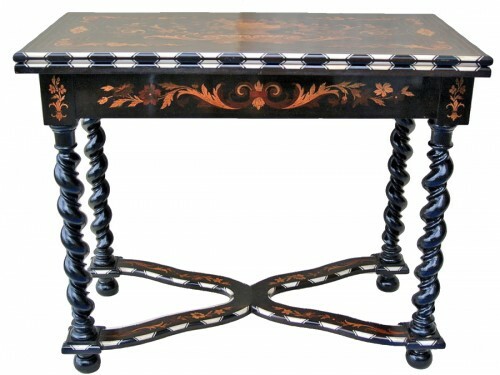 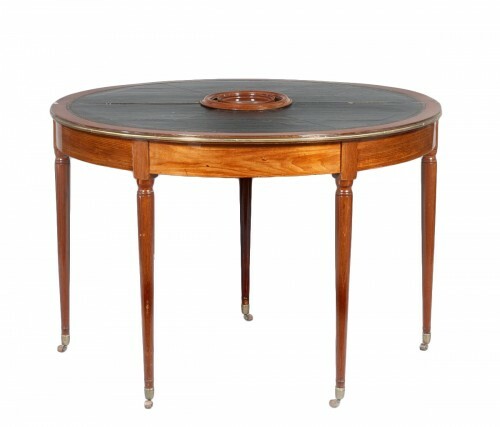 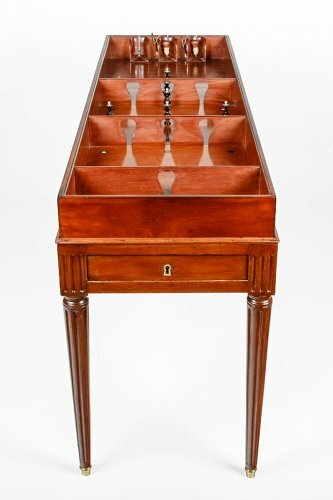 The table for playing three of a kind, the Bouillotte table, and the tric-trac table are the most sought after eighteenth-century antiques. 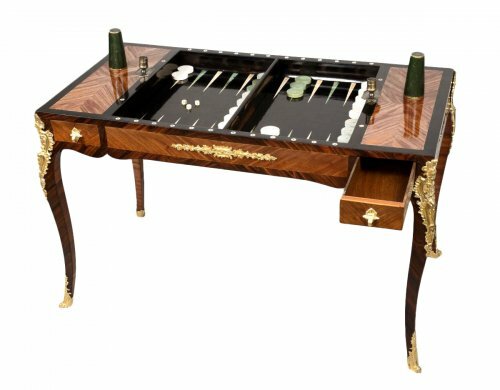 The game table became less popular in the nineteenth century because the games were played in ‘cercles de jeux’ rather than in people’s homes.